A rare, leaked report about a papal election revealed great uncertainty in the 2013 picking of Pope Francis, with a huge number of cardinals getting votes — and for the first time, top spots for an American and a Canadian. Francis’ election followed Pope Benedict XVI’s historic, surprise resignation and came amid turmoil about dysfunction in the Vatican bureaucracy and a perceived lack of an inspiring spiritual leader at the helm of the world’s largest church. The votes revealed in the story represent for the first time the dramatic shift away from Europe and toward the Americas as a center of Catholicism. Almost all top vote-getters for centuries have been Europeans, said America’s Vatican reporter, Gerard O’Connell, who wrote the piece titled “Inside the election of Pope Francis.” But in 2013 the top four were one Italian (Angelo Scola), one from South America — Jorge Bergoglio, or Pope Francis, from Argentina — Canadian Marc Ouellet and Sean O’Malley, the archbishop of Boston, the article reports. O’Connell’s story, which excerpts his upcoming book on the conclave, focuses on the first round of Francis’ election. Conclaves require a two-thirds vote and usually take several rounds to get there. Francis’ had five. In the first round, of the 115 cardinal-electors, 23 names got votes — a fifth of the total number of cardinals voting. One of the 23 was a misspelling of Bergoglio, America reported. Some said it showed the cardinals were strongly driven by a desire for geographical diversity. The church has been shrinking for years in Europe. 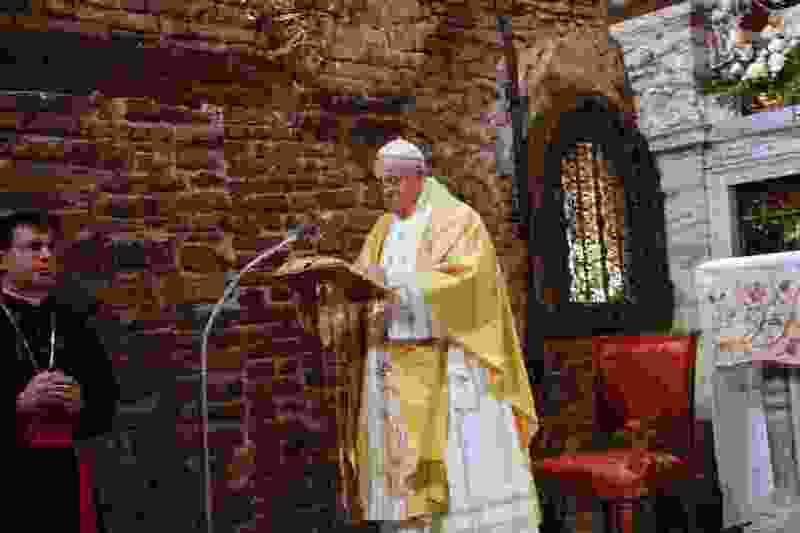 Others said Bergoglio’s rise, and a strong showing for O’Malley, showed voters’ attraction to clerics known for their focus on the poor, immigrants, social questions and a simple lifestyle — compared with those known for their theological focus and correctness and clarity. Benedict is a towering theologian considered more on the conservative side, as are Scola and Ouellet, and all were people with many years as Vatican insiders. Some said Francis in 2013 wasn’t seen as much of a potential trailblazer as he often is now; he was seen as a Benedict-like pastor but from a part of the world on the rise. Several papal experts were very concerned about the leak. Catholicism teaches that the conclave is a spiritual event meant to support holy men in prayers that will lead them to a choice. The image of coalition-building and potential politicking - in other words, standard fare for an election - was worrisome to some.